Billions of dollars are sold in medicinal mushroom are sold yearly as these nutritional organism become the hottest functional food to consume. I too take this dietary supplement everyday which contains ample amounts of my favorite protective mushroom of them all, Reishi. While we can’t say mushrooms cure or mitigate disease, we know they have protective properties that are useful. Out of many of the medicinal mushroom consumed by people for nutrition support, including, chaga, cordyceps and turkey tail, Reishi has the most robust science to support its use. 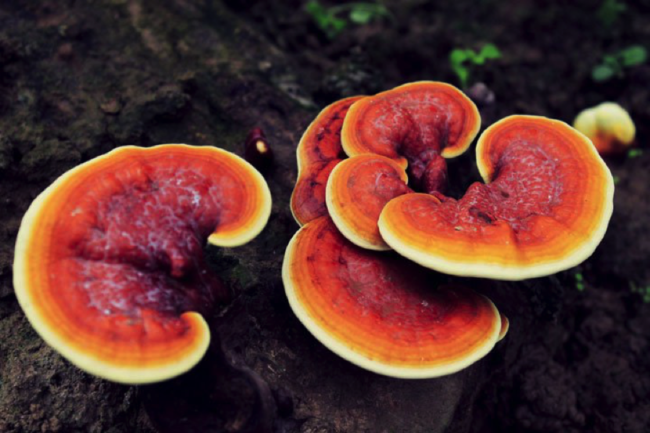 Ganoderma lucidum, commonly known as Reishi, is a favorite medicinal mushroom that has been used for centuries in Traditional Chinese Medicine (TCM) for the prevention or treatment of a variety of diseases. Reishi mushroom is used by many cancer thrivers to strengthen the immune system. Some of the published research indicates Reishi has activity against prostate cancer and breast cancer cells. This published scientific article demonstrate that Reishi inhibits active transcription factors nuclear factor kappa B (NF-kappaB) and AP-1, which resulted in the inhibition of expression of urokinase-type plasminogen activator (uPA) and its receptor uPAR. In human language that means Reishi mushroom inteferes with numerous pathways that can promote cancer cells. A meta-analysis study on the use of Reishi in cancer treatment reported immune stimulating effects with this ancient mushroom. This same report indicates a positive response in about 50 percent of patients consuming Reishi mushroom while undergoing radiation or chemotherapy, as compared to those treated with chemo or radiation alone. Ganoderma lucidum could be administered as an alternative adjunct to conventional treatment in consideration of its potential of enhancing tumor response and stimulating host immunity. Q: I heard good things about Turkey tail, Chaga and other popular mushrooms, can I take them too? A: Yes. They are all helpful and have some science to support their use. Q: Why do you have only Reishi mushroom in your formula and not any of the others? A: I can only fit so many ingredients in one capsule. Reishi, after extensive research and clinical experience, is the king of mushrooms in my opinion and it’s backed by the best quality science for immune function and many other health properties. Q: Can I take medicinal mushrooms during radiation therapy for prostate cancer? A: Yes you can, along with numerous others. I recently wrote this article on the use of dietary supplements during radiation and it might be a useful read. Your radiation oncologist will be opposed to you taking ANY dietary supplements during radiation, however. Geo, thank you for this article. Would it be of any value to supplement with additional Reishi in addition to what I’m getting in the formula? No, you are set with ImmunoPCTN from XY wellness. I am conflicted as it does seem that mushrooms are cancer protective. However, they also contain significant amounts of l-Glutamine which has been shown to feed cancer. Glutamine, like choline is unavoidable to consume and they are important for biological functioning. The amount of glutamine in reishi is marginal to my understanding but I have not seen a good source with those details. If you do, send me a link. Thank you. Ten years ago I use to take and sel from Organo gold companyl ganoderma lucidum capsules and ganoderma spores which is the highest level of ganoderma . I’ know of people with brain tumors taken ganoderma and the tumors gone also people cure of diabetes and headache, etc.etc.ganoderma is the herb closest to perfection. thanks God for Reishi mushroom. I believe is the best cure for cancer, hope that St Jude hospital doctors would look deeper into this miracle medicine, that way more children can be cure if this terrible illness.